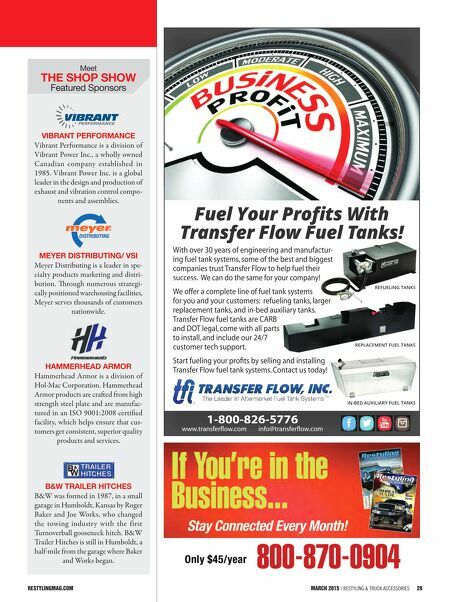 28 Restyling & tRuck AccessoRies | March 2015 restylingmag.com Show SpecialS Hammerhead Armor says Authorized Dealers can save big if they sign up during the show. All Authorized Dealers with Hammerhead Armor are given a protected territory. Hammerhead's Dealer Display includes current model front bumpers (pre-runner or full brush guard style), rear bumper and running boards. 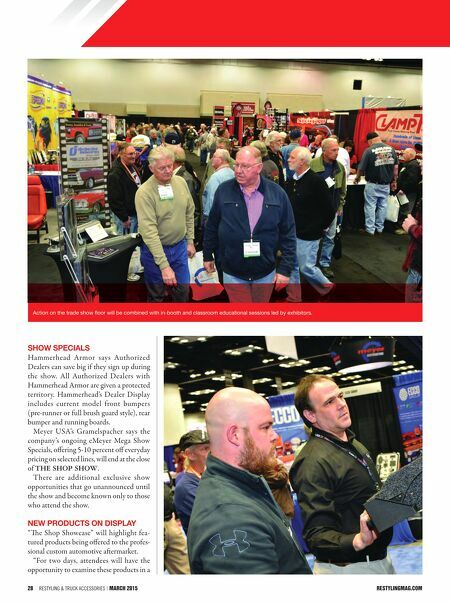 Meyer USA's Gramelspacher says the company's ongoing eMeyer Mega Show Specials, offering 5-10 percent off everyday pricing on selected lines, will end at the close of THE SHOP SHOW. There are additional exclusive show opportunities that go unannounced until the show and become known only to those who attend the show. New productS oN diSplay "e Shop Showcase" will highlight fea- tured products being offered to the profes- sional custom automotive aermarket. "For two days, attendees will have the opportunity to examine these products in a Action on the trade show floor will be combined with in-booth and classroom educational sessions led by exhibitors.